As enterprises move full steam ahead with their digital transformation efforts, several trends continue to hamper IT teams. Across the board—from vertical markets that include retail, banking, transportation and others—enterprise IT teams are faced with increasing adoption of cloud-based infrastructure and applications and a growing list of enterprise applications and communications methods to meet the demand of employees, partners and customers. On top of that, enterprise branch and remote offices continue to demand new resources that rival what is available to employees at the company’s headquarters. This means additional applications, users and connectivity options to manage. These trends are creating a wealth of network complexity at a time when the network—often the least agile IT component—is under increasing pressure from more users and more traffic. This complexity is hindering the agility enterprises were seeking to create with their digital transformation initiatives in the first place. It’s now taking longer than ever to deploy enterprise services, making companies less responsive to the needs of their users and customers. In this “applications era,” the customer experience is critical. If these applications are not available in a timely fashion and do not perform properly, the user experience suffers and the expected benefit of the new application—including employee productivity and customer satisfaction—is not realized. This means the digital transformation fails to produce the desired business impact, unless the application performance is protected and delivered optimally for all users. It’s now a key business requirement for CIOs and IT teams to be able to dynamically orchestrate the performance and user experience of every application in real time, regardless of the size, location or complexity of their network environment. A new network strategy is required to leverage the potential of digital transformation, and the key business enabler that solves this challenge is SD-WAN. The application environment is consistently in flux. New applications are demanded with high frequency, and IT is not always in control of what is being added into the mix, regardless of company policies. As shadow IT lurks, an unpredictable application environment is the result. Network performance for business-critical applications isn’t consistent. Companies are clamoring for the ability to ensure the performance of their most critical applications at specific times, such as prioritizing the CEO’s earnings webcast over all other traffic from 9-11am on the third Thursday of June, or dealing with a one-day sale, or even the daily morning coffee shop rush. Most companies don’t have that level of control over their networks. While an overall poor network experience is frustrating, an unpredictable one is even worse from a user experience perspective and can potentially shut down operations. No visibility into individual applications and how they are impacted by changing network conditions. Are the most-critical apps being given the highest priority end to end? Which applications are consuming the most network bandwidth? Are the most critical applications achieving the necessary user experience to drive productivity? Certain applications consistently aren’t performing as expected. The applications that businesses consider mission-critical vary from industry to industry and even company to company, but whether they are a point-of-sale (POS) system in retail or Office 365 in a logistics company, they are a key part of an enterprise’s day-to-day operations—and the company’s success. Poor application performance will equal poor productivity or loss of sales. Traffic can’t efficiently be routed between links. Companies face issues with bandwidth optimization and cost control because they can’t efficiently control the performance of their applications hosted in house or in the cloud. Today’s networks are hybrid—a mix of virtual and physical WAN elements both in the data center and the cloud—brought together by the needs of the enterprise’s specific branch locations. As spend in traditional branch office routing drops, enterprises are seeking high-availability solutions that deliver the performance they need, when they need it, and for the specific applications they consider most critical. SD-WAN delivers better support for diverse transport and faster/more granular failover than traditional routers, and helps facilitate hybrid WANs, which can lower latency for public cloud-based applications. SD-WAN helps enterprises to overcome network complexity by providing a management layer atop the existing connectivity solutions, and orchestrating and controlling network and application performance independent of the WAN. But at the same time, SD-WAN has the potential to add complexity to an already compounded network environment if not approached properly. Solutions with incomplete functionality or those that are too reliant on hardware appliances create complexity, not the agility promised by the digital enterprise. Visibility. Deep, end-to-end application visibility should include troubleshooting capabilities that allow IT managers to view both individual application flows to pinpoint performance issues down to the individual device level, but also a higher-level view to understand overall performance, including what types of issues are occurring and why. Control. In addition to end-to-end visibility, IT managers need more granular control of how an application uses network resources—not only see specific traffic, but also have the ability to take action against it when they need to. Control can only consistently come via an end-to-end quality of service (QoS) capability that acts on each application session uniquely. Dynamic path selection. A SD-WAN solution needs the ability to dynamically adjust application flows based on real-time network conditions on a per-session, or, per-user basis. Security. While the focus has been on protecting the network edge, the industry is in general agreement that more attention is needed to protect internal networks, especially when they have visibility from SD-WAN solutions. Security in SD-WAN is standardized over the entire network, not just the perimeter. WAN optimization. 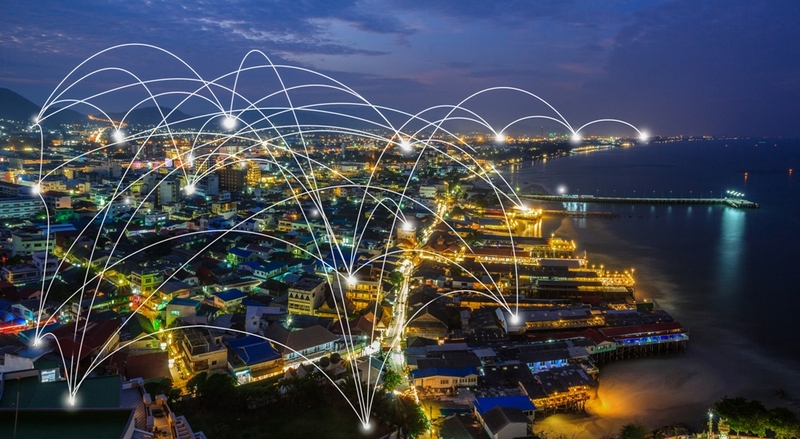 WAN optimization is key to a user’s quality of experience, helping provide a more consistent user experience, especially across broadband networks. SD-WAN solutions have the ability to deliver the network agility and flexibility that today’s enterprises demand. They can help reduce OPEX (News - Alert) and CAPEX, and help enterprises shift investment away from expensive MPLS connections to leverage lower-cost, high-bandwidth services. To reap their full reward, enterprises must carefully navigate a path that delivers the end result of reduced complexity and maximum quality of user experience. About the author: Ricardo Belmar is senior director, worldwide product marketing at InfoVista (News - Alert). Ricardo helps organizations in the retail, manufacturing, logistics, and financial services industries find business value from technology investments, as part of their digital transformation, by optimizing their enterprise network to deliver the best application user experience and omnichannel customer experiences. Ricardo develops market positioning and strategy for InfoVista’s enterprise solutions globally.